Congrats Danny Green on your Eagle Vision thanks to Dr. Manrique! 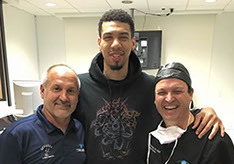 San Antonio Spurs Shooting Guard, Danny Green, recently received his Z-LASIK procedure with Dr. Manrique and is now enjoying his eagle eye vision. Our staff and your fans are all very happy for you. We are proud to announce that Manrique Custom Vision – San Antonio is now the Official Z-LASIK Center for the San Antonio Missions. Team up with Dr. Carlos Manrique for your Z-LASIK procedure today and you will feel like you just won a Texas League Championship! Go Missions! 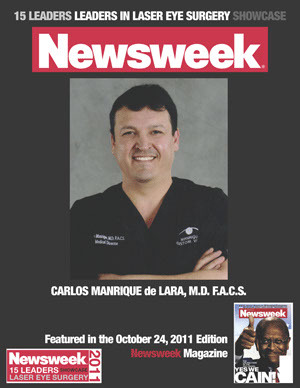 Dr. Manrique performs Z-LASIK surgery live! Thanks to everyone for tuning in to watch Dr. Manrique perform Z-LASIK on multi-platinum CMA and ACM award-winning recording artist Tracy Lawrence. Along with watching this amazing procedure, many previous and current patients had the opportunity to meet Tracey. We are proud to announce that Manrique Custom Vision – San Antonio is now the Official Z-LASIK Center for the San Antonio Spurs. Team up with Dr. Carlos Manrique for your Z-LASIK procedure today and you will feel like you just won an NBA Championship! Go Spurs! Thanks to everyone who visited us at the Alamodome during the 2012 Hunter’s Extravaganza. Many people stopped by to learn how they could benefit from Z4-Z-LASIK and we are looking forward to helping everyone who has their sights set on a clear view to better vision! Fox TV Host Cassandra Lazenby recently had Z4-LASIK at Manrique Custom Vision and is now glasses and contact free. Thank you very much to all who joined us for this live procedure completed by Dr. Manrique. Cassandra is now enjoying 20/15 vision as a result of her successful procedure! Our very own Richard Doinoff, Director of Operations, made an appearance on FOX before the procedure to explain the benefits of Z-LASIK and just how easy it is to get freedom from glasses and contacts.